Size WiseA serving of this festive sweet treat goes a long way on flavor. 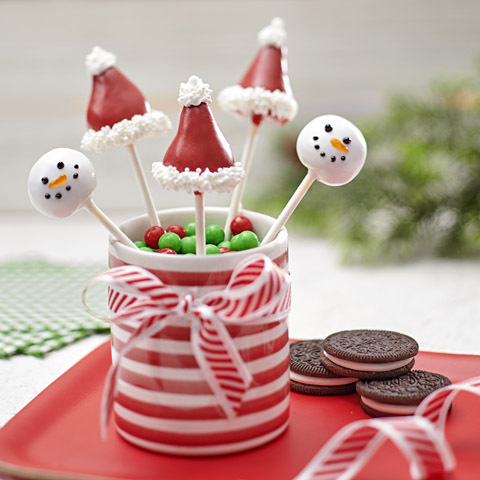 VariationSnowman Cookie Ball Pops: Omit frosting and nonpareils. 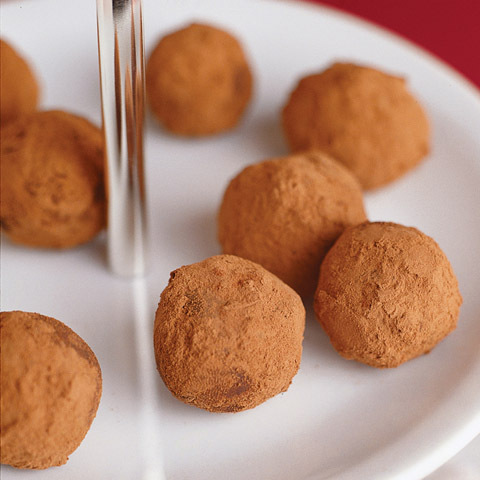 Substitute white candy coating wafers or white baking chocolate for the red candy coating wafers. Roll cream cheese mixture into balls as directed. (Do not shape into cones.) 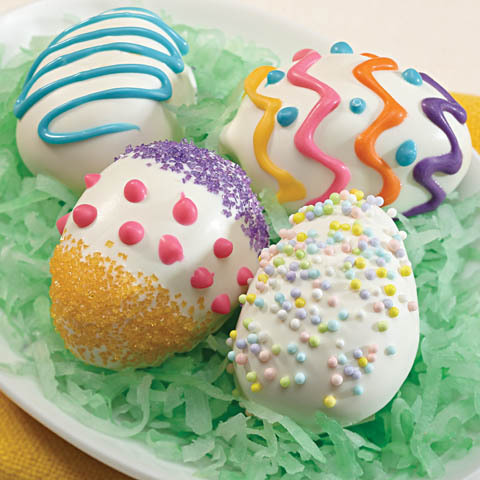 Insert dipped lollipop sticks into balls, then dip, 1 at a time, into melted candy coating wafers, turning to evenly coat each ball with candy coating. 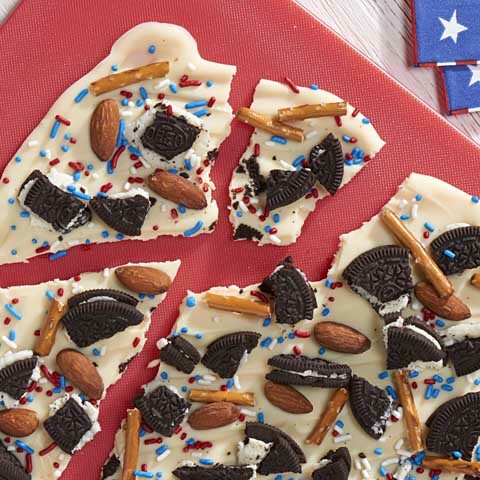 Let stand until candy coating is firm. Decorate with black and orange decorating gel to resemble snowmen. Make it EasyUse 1 can (6 to 8 oz.) canned decorating icing, sometimes called cupcake frosting, instead of the canned ready-to-spread frosting. 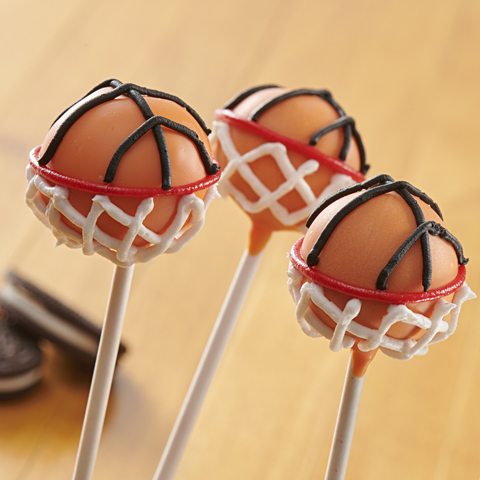 This icing comes with the decorating tips which makes decorating the cookie pops a snap.